In workplaces where chemicals and other potentially dangerous contaminants are used, employees may be exposed to irritants that can affect their eyes or skin. Chemicals and other contaminants can cause irritation and other problems tha can range from mild to severe. Our buffered isotonic solution can be used to help eliminate contaminants and relieve irritation, discomfort, burning, stinging, and itching by flushing away the foreign material. Can be used on the eyes or skin. #130803 8 oz., #131600 Eye Cups 6/vial, #130843 16 oz., #132900 32 oz. 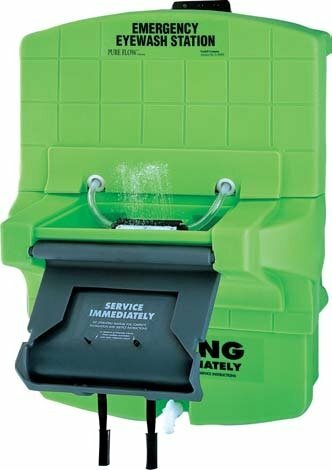 Sterile, buffered isotonic solution #130423 Salinex for eye wash stations.